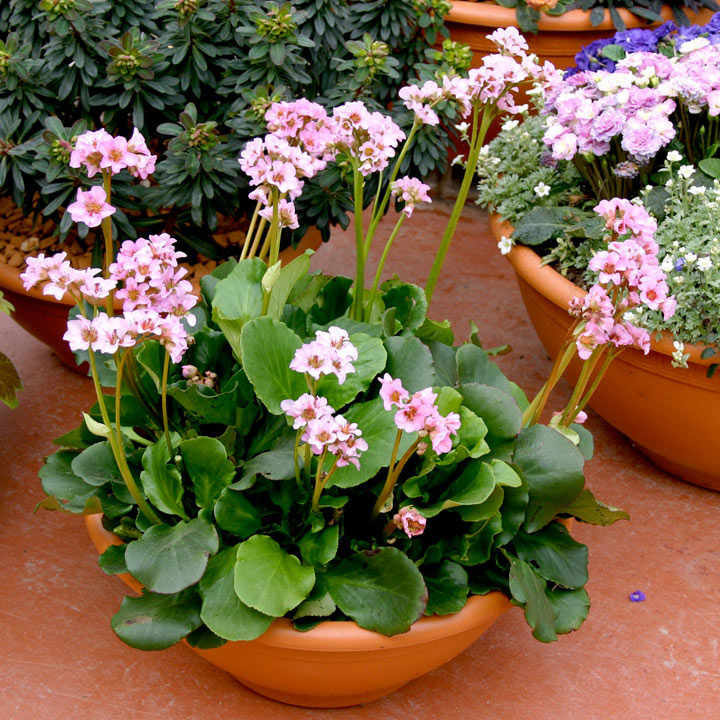 This bergenia variety is unique as it produces its bunches of pink flowers during the autumn period as well as the spring (unlike most varieties which only bloom in the spring). Its large green leaves also take on a tint of red during the same period. Very distinctive! Flowers August-September and March-April.Height 20-30cm (8-12"); spread 30-40cm (12-16"). Supplied in a 2 litre pot. Flowers in both autumn and spring! 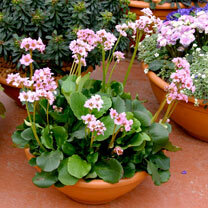 This bergenia variety is unique as it produces its bunches of pink flowersduring the autumn period as well as the spring (unlike most varieties which only bloom in the spring). 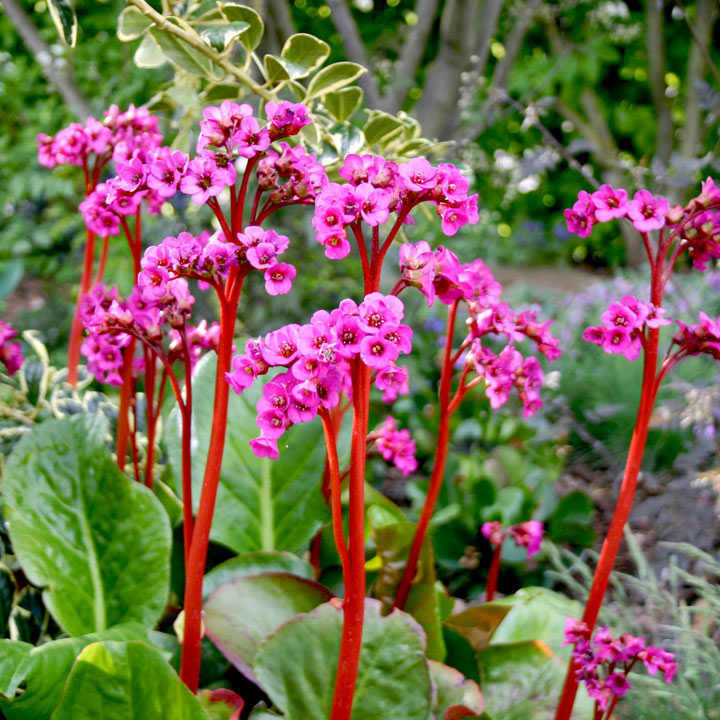 Its large green leaves also take on a tint of red during the same period. 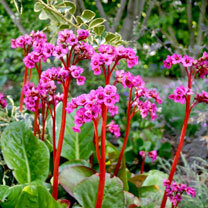 Very distinctive!Flowers August-September and March-April.Height 20-30cm (8-12"); spard 30-40cm (12-16"). Supplied in a 2 litre pot.